Ever wondered whether protein shakes were “good” for you? I imagine we’ve all tried them at one time or another. In today’s video, my wife Rachelle gives what you might find is a slightly “different” way of looking at the answer, and she shares a bit more of what we do daily. Enjoy! Author Dr. BenPosted on August 17, 2016 Categories Healthy Weight Loss, Natural HealingTags detox, drbenlo, fitness, health and fitness, protein shakesLeave a comment on Are Protein Shakes Good For You? Ever feel stressed? Trouble focusing, trouble sleeping, or lack of energy? Here’s a natural solution that’s made a big difference for me and for many others — you’ll feel better, and it’s good for you, too! Watch the video below to learn more, then you can try it for yourself here. Enjoy! Ready to try this natural stress relief yourself? You can do so here: natural stress solution. natural extra support to stay healthy during cold and flu season. evaluation suggested a probable virus as the cause. and seeing no immediate end in sight to her ailment. yet powerful natural solutions we had discussed the other night. Want to know what they were? The first is a potent mushroom extract that supports healthy liver and immune system function. It’s been shown to improve cell-mediated immunity and the activity of “natural killer cells” in particular, which help eliminate and remove infected or abnormal cells in our body. Now there are about 62 varieties of this mushroom, called reishi, and some of the most active immune-supporting components are “locked away” in the spores, where they don’t get absorbed well when ingested. just about 48 hours ago. The second solution was an extract from colostrum. Colostrum is an immune-rich fluid that breastfed newborn babies receive before their mother’s milk comes in. so its signaling is both more accurate and more effective. what is required to take them out without “collateral damage”. gone “awry” (think allergy and auto-immune conditions). 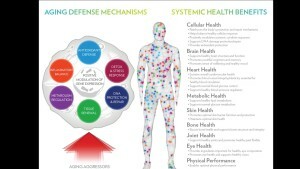 for ongoing health and immune support if desired. two natural solutions come in handy. Enjoy, and be in health! 7-day e-course Maximize Your Health in Just Minutes a Day. Enjoy! I am so excited to be able to share this with you all — the culmination of years of collaboration to create a solution that’s already changing lives, and made a profound difference for myself and Rachelle beyond anything that’s come before. Blessings, and enjoy! If you’d like to learn more, you can visit how Youth works. I’m more excited about this than anything I’ve shared before — Enjoy! Today I want to speak to those of you who may be facing a serious diagnosis — in yourself or a loved one. I went through this when my second daughter was born blind, and again when my mother faced cancer. Besides the emotions of fear, stress, and despair that can come up, I also know the anguish and exhaustion that come from trying to figure out the right thing to do. Consulting experts, reading, researching, praying, discussing — all seem to be part of the process many of us feel compelled to walk through. Yet even in the midst of this, it is possible to have an inner sense of peace, and that’s what I want to assist you with today. In our culture, many of us have grown up focusing on “doing”, and especially in a crisis, I know my first tendency is to want to know what to do. Well, in serious matters where there is not always an immediate or obvious solution, a “doer” can get so caught up in “research” and trying to make the right decisions — about treatment, care, travel, and so on — that the doer becomes totally cut off from their heart and their sense of being. What I want to encourage you to “do” today, no matter how serious a situation you are facing, is to take a moment right now simply “being” — and affirm that “all is well.” Though the surface of your life may be being tossed about by storms, at a deeper level you can connect to a sense of being that exists beyond your crisis, and it is from this connection that you can find the peace to hear, see, and receive what really matters. Yes, this is a spiritual matter — one of faith. Our beliefs and our spiritual energy are actually the most powerful in the universe in affecting our lives and our health, though many of us get consciously cut off from this awareness when we’re stressed wondering what to “do”. Whatever crisis you’re facing on the surface of your life, let go of your fear and find that inner place of trust where “all is well.” From there you can re-enter your situation with a new perspective that will allow you to receive good even in the midst of hardship, as well as be a blessing to others. 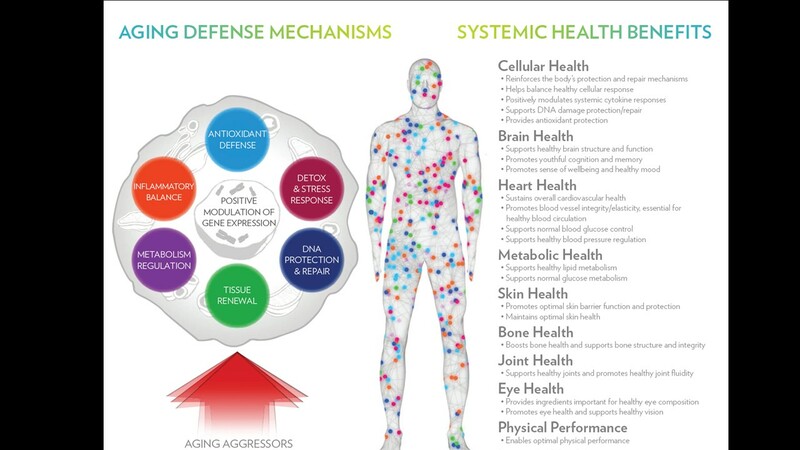 about how we can influence the health of our cells – and ultimately our quality of life – as we age. people to be able to live it fully.